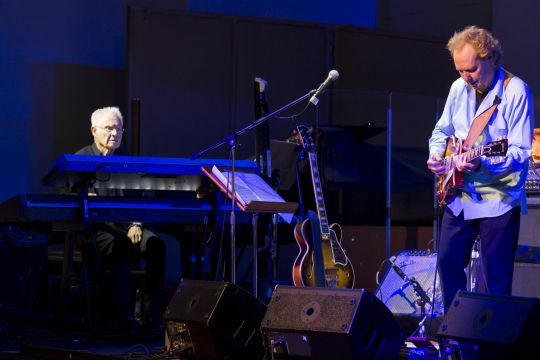 The cooperation between the guitarist Lee Ritenour and the pianist and composer Dave Grusin, has a long history. Back in 1986, they jointly won Grammy Award for the album"Harlequin". At the festival in Lviv, they will perform with bassist Melvin Lee Davis and drummer Wes Ritenour. Lee Ritenour began his career in the 70s and since then he has been one of the leading fusion and jazz guitarists. He has recorded over 40 albums, and many of his songs have become classics of modern jazz. No less famous is the American composer, arranger, producer and pianist Dave Grusin. He is the winner of many awards, including 10 Grammy Awards and an Oscar. He is renowned as the composer who wrote the soundtracks for a huge number of movies and TV series.